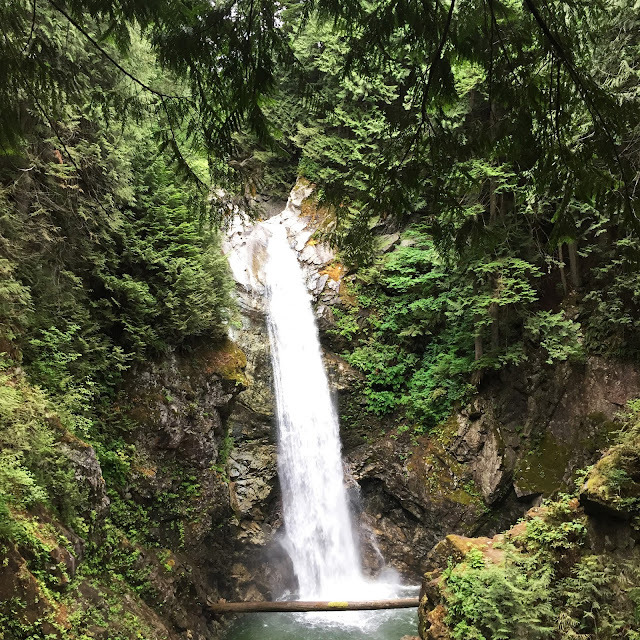 There are so many incredible trails and waterfalls in British Columbia so I thought I would start checking a few off my list. Cascade Falls is about an hour and a half easy drive outside of Vancouver. Considering I went here on a Saturday afternoon, I didn’t find the park that busy. 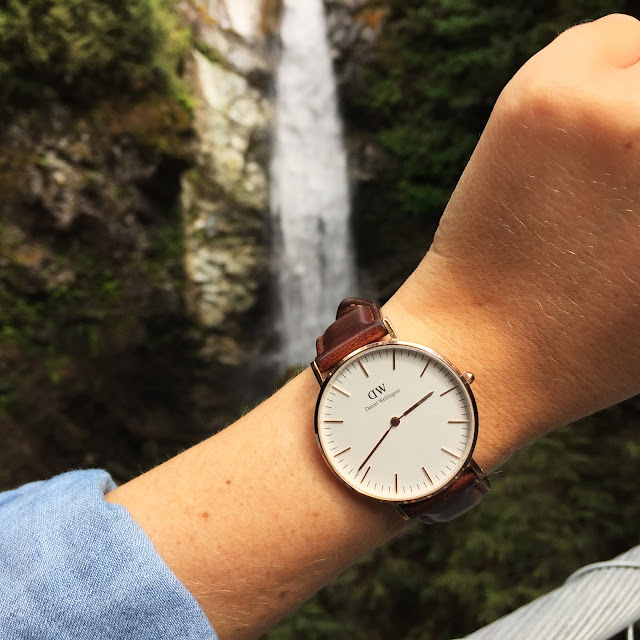 Watch, Daniel Wellington c/o Jacaranda Tree & Co.
Much like most outdoor places within the mountains, there is so cell service! So for all those Snapchat lovers out there, you’ve been warned. 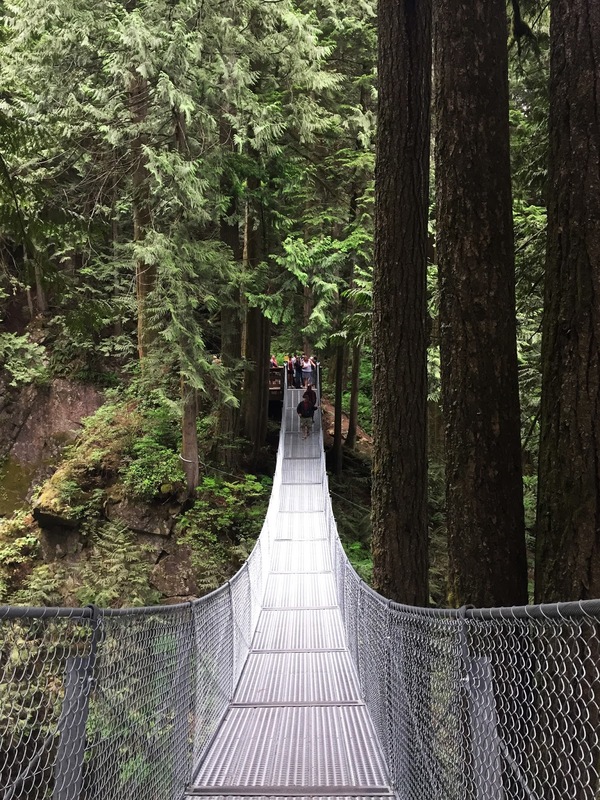 After I spent some time looking at the waterfall and taking a few picture, I wasn’t ready to go home. 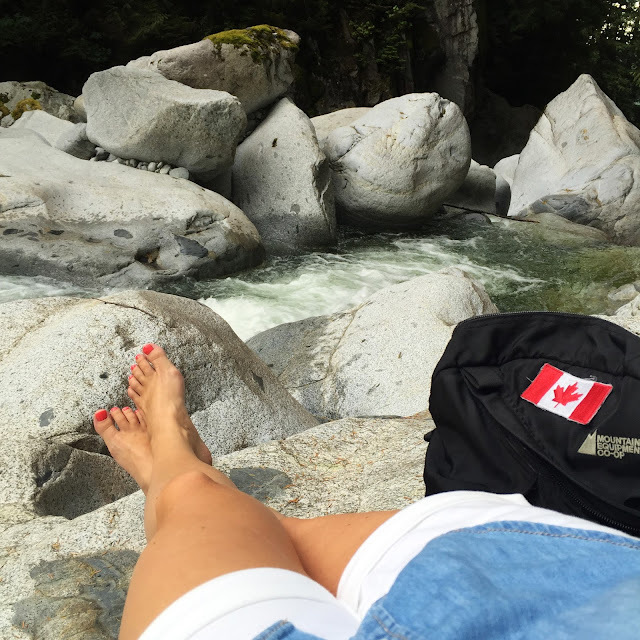 I saw a couple people come down a road beside the waterfall wearing their bathing suites and carrying towels. What was up there? I wanted to find out. A few others and I went up this road and found a small opening into the forest. After trying to navigate our way around the trees and down a really slippery slope, there was a huge opening of little pools with the current running through it.